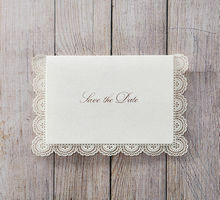 If you are searching for the ultimate vintage inspired invitation design, then look no further. 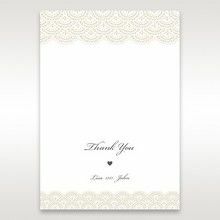 This elegantly pure white card features superb laser cut details which are used to depict a classic vintage pattern similar to a doily as the frame. 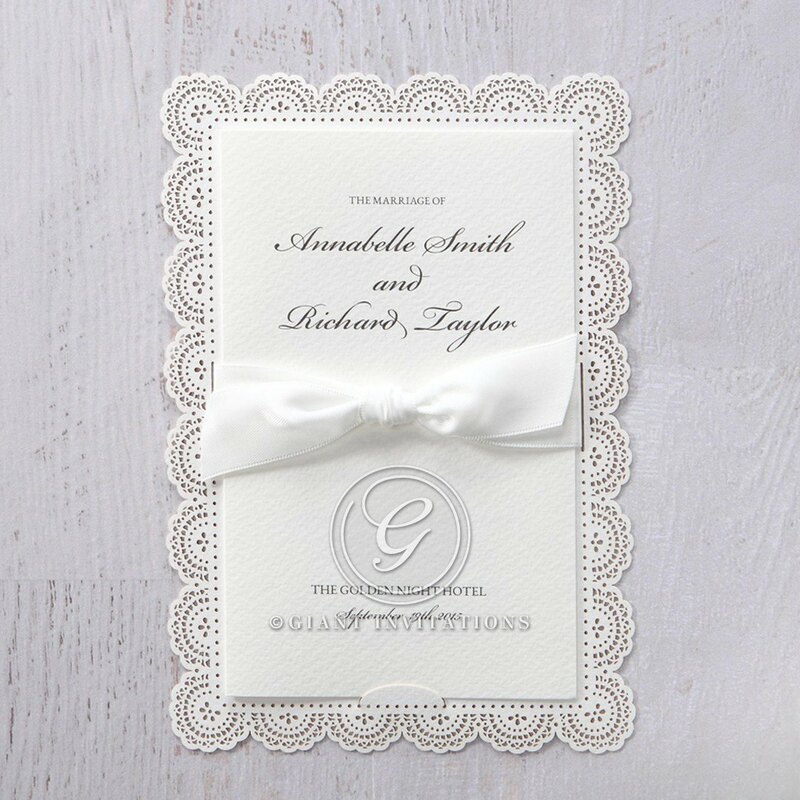 The intricate white lace like hem is simply charming with its old-fashioned appeal. 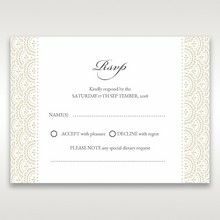 The textured insert is equally appealing with classic typography print flowing through the card. 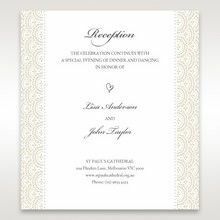 The all-white design is accentuated further with a luxurious satin ribbon to create a pocket like invitation. Incorporate a monogram to add character to this old-world charm creation. Thank you, Giant Invitations! Very happy with our wedding invitations! All steps the most efficient service! 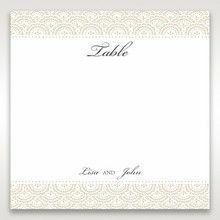 Will be back soon to order place cards. Ordered my sample of this and absolutely loved it. Really great quality paper and ribbon. 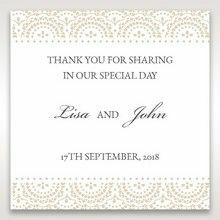 Ordering for my wedding invitations today! 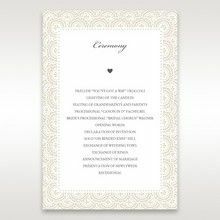 I could not find any cards suiting my fiancees taste, so I searched back home in Australia, and came across 'Giant Invitations'. We selected a number of samples and when they arrived we discovered our next problem.... which one to pick!!!! Oh, their where words spoken in two languages, until we came across this winner, the Intricate Village Lace HB14012. 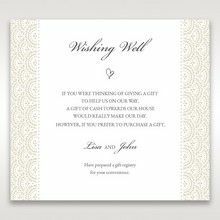 We are ordering these beautiful cards this week. 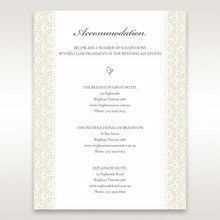 The service provided by 'Giant Invitations' so far has been outstanding! Such a lovely invite. Beautifully made! Absolutely gorgeous invitation. Definitely will order this for my wedding. 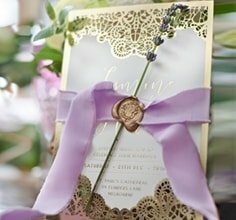 Such pretty invitations... We are definitely using these for our wedding! 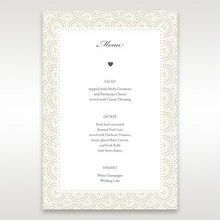 Ordered a sample of this invitation and we couldn't be happier - a gorgeous invitation that feels super luxe. We will be going with this design for sure! What a beautiful invite!! I loved it. I am so glad that we were able to keep a couple of them for our own memory box. 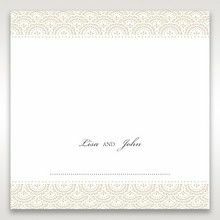 Such a gorgeous design, paper, font, and the envelope and little stamp were all perfect. Loved it! Delicate, classic and timeless. This is the one for us and I can't for my guests to receive it!